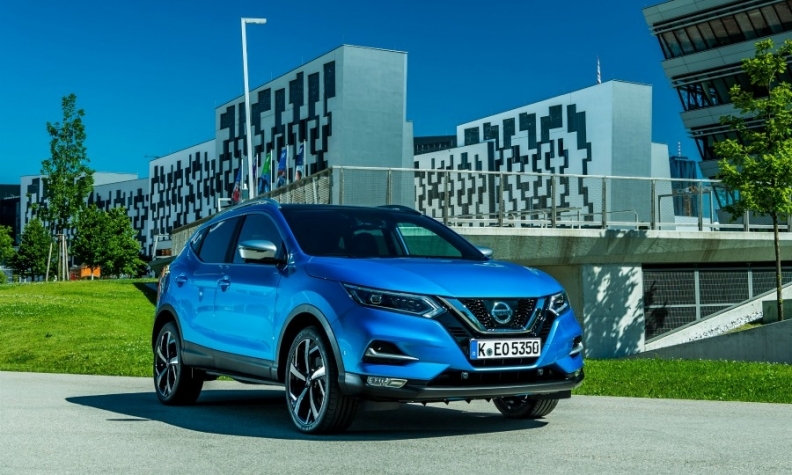 The Nissan Qashqai kept its lead in Europe's compact SUV segment despite stronger competition. 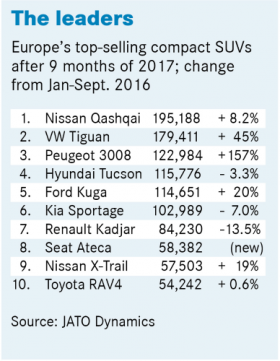 Strong demand for new compact SUVs from Volkswagen, Peugeot and Seat combined with the successful refresh of the Ford Kuga have helped to increase European sales in the sector by more than a quarter in the first nine months. The pace of growth means the segment will reach a new record of 1.8 million units by the end of the year, up from 1.5 million last year, analyst firm LMC Automotive believes. This year's growth spurt will be difficult to match in the coming years, but sales are still on track to top 2 million by 2020, the company expects. That will help push SUV sales overall to "well over" a third of the European market by 2021, up from a quarter today, LMC analyst Sammy Chan said. The Nissan Qashqai maintains its lead in the segment but it has faced its toughest challenge in years from the Volkswagen Tiguan. 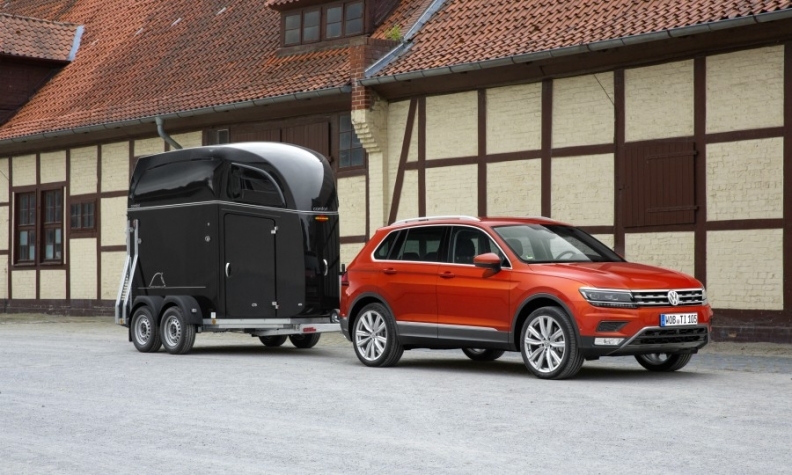 VW's launch of a new generation of its top-selling SUV has increased Tiguan sales 45 percent in the first nine months, figures from market analyst JATO Dynamics show. 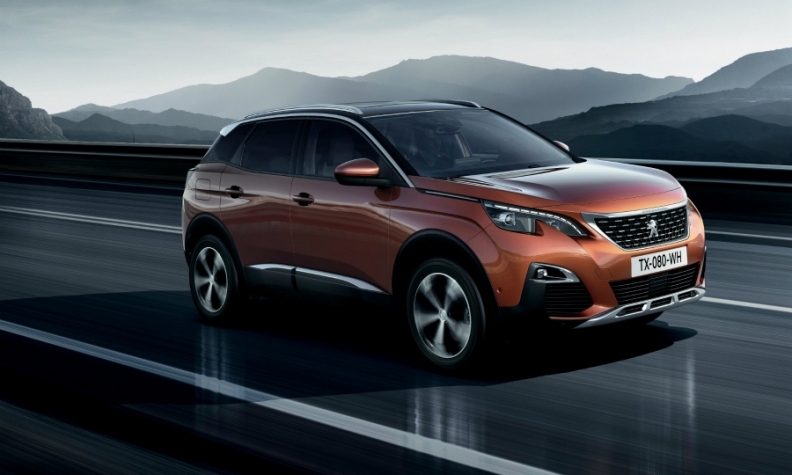 Demand for the Peugeot 3008 rose 157% through 9 months. Perhaps even more impressive is the sales surge for the third-ranked Peugeot 3008. The reigning European Car of The Year's triple-digit sales increase has pushed it ahead of models such as the Hyundai Tucson and Kia Sportage, both of which saw sales dip slightly due to the increased competitiveness of the segment. Peugeot said the 3008, its first proper SUV in the segment, had "exceeded our targets" by breaking through 300,000 sales since its launch in October last year. The car has helped Peugeot achieve its goals of focusing on higher-margin sales, cutting incentives and pulling out of low-margin areas of the business, Bernstein analyst Max Warburton wrote in a report earlier this year. Peugeot said high-spec versions of its models accounted for 38 percent of sales through October. Ford says it also has benefited from strong demand for high-spec versions of its Kuga. Kuga sales rose 20 percent in the first nine months, which helped it earn the No. 5 spot in the compact SUV segment's ranking through nine months. Ford launched a face-lifted version of the Kuga in November 2016. Figures from Ford show the Titanium trim line accounted for 43 percent of sales through October, with the sporty ST-Line accounting for 27 percent. VW has gotten a lift from the arrival of the new Tiguan. This story s from Automotive News Europe's latest monthly magazine, which is also available to read on our iPhone and iPad apps.You can download the new issue as well as past issues by clicking here. The success of the high-priced models has created a big price gap between compact SUVs and compact cars. In Germany, the average price for a compact SUV was 31,946 euros through September compared with 26,391 euros for other compact cars. "Compact SUVs remain the perfect way for mainstream carmakers to increase not only sales but also profits," JATO analyst Felipe Munoz said. Despite the current surge in volume, the segment's growth pace will slow as the last few gaps are filled by late-arriving automakers. Opel/Vauxhall is rolling out the Grandland X, which sits on the same PSA Group platform as the 3008. The Citroen C5 Aircross launches in Europe late next year following its debut in China this year. The C5 Aircross shares the same PSA Group platform as the Grandland X and 3008. Jeep is launching its Compass, which achieved sales of 3,282 in September. That was half of what Jeep would have needed for the Compass to enter the segment’s top 10 sales chart for the month. That could happen once the car arrives in the UK, which is a key market for compact SUVs. Skoda is launching the Karoq, which has a good chance of cracking the segment’s top 10 in the future given the VW Group brand’s success with the compact-sized models in Europe. Mitsubishi will start selling the Eclipse Cross in the segment. That leaves Fiat as the only major automaker without a model in a segment that’s become hugely important for automakers in terms of market share. 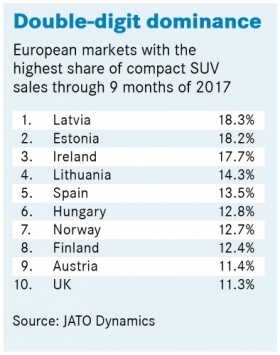 Through September, compact SUVs accounted for 10 percent of Europe's overall sales, up from 8.1 percent in the same period last year, JATO's figures show. Some markets were nearly double that, with Latvia topping the charts with an 18 percent share. Spain was a big market for compact SUVs with a 13 percent share, while the UK was at 11 percent. Germany has yet to embrace the market with the same enthusiasm. Compact SUVs had a share of 7.8 percent of the market, putting Germany in 25th place in Europe. Italy was also below average at 8.7 percent. Diesel still dominates the segment with a 59 percent share after nine months of sales. Gasoline models, however, are increasing in popularity as their share in the segment has increased to 35 percent through nine months from 28 percent during same period last year. Promoting all-wheel-drive systems is a good way to increase the overall sales price, but uptake for the feature has declined to 24 percent through September from 28 percent during the same period last year. Some automakers are better than others at persuading customers to spend extra on awd. For example, 61 percent of Honda’s CR-V sales, 49 percent of Mazda's volume for the CX-5 and 47 percent of the Tiguans that VW sells in Europe included the technology, according to JATO's figures.